In many ways, the story of a woman’s life is essentially a journal of the different people that she becomes. Inside each of us lie the many different rays of personality that help to define who we are and how we are seen by others. 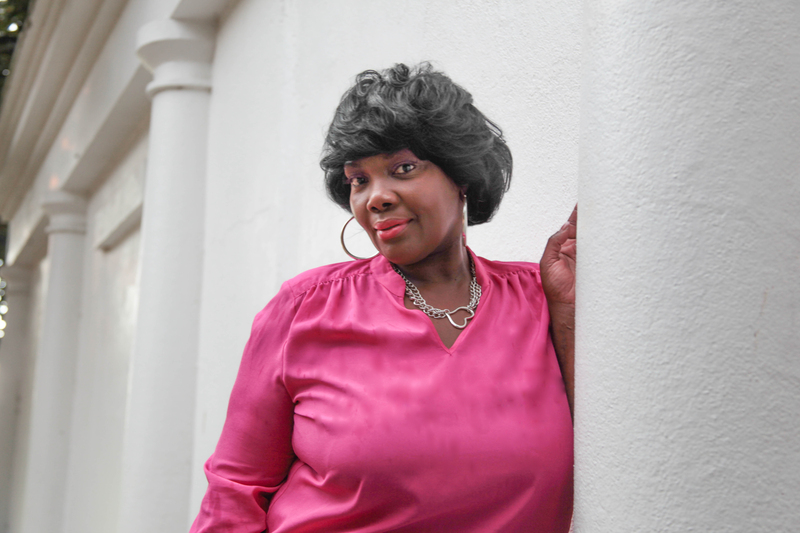 For October’s Survivor of the Month, Thea Jenkins, that spectrum contains the story of a community activist, a hair stylist, a hard worker, a daughter, a mother, a grandmother, a fighter, and a poet. In October of 2007, the resume of Thea’s life would include another entry: breast cancer patient. It was during that month that Thea would receive a text message from a friend, herself a breast cancer survivor, advising all of her friends about upcoming free mammogram screenings. “At this time I was 40 going on 41, I never had (a mammogram) because of the cost and I felt I better jump on it… so my girlfriend that worked with me at that particular time said she will go as well. We both made the appointment the same day.” Both women would get their screening completed and begin the anxious wait for the results. Shortly after the test, her friend would receive a letter in the mail to advise that the test went well and there were no concerns. Thea would receive no letter, but instead news of an abnormality from her screening and a request schedule for a biopsy. “So my daughter and my girlfriend went with me to get my biopsy. I went around the 20th and I got my result on the 27th of October. I was called in by my nurse navigator; she told me that she wanted to speak with me about my results. So I called my daughter and she went with me.” To hear the diagnosis of breast cancer can be an absolutely devastating thing to experience. It would be understandable for someone to breakdown or to become bitter. Yet in this moment, Thea would instead embody another important persona of who she is, an optimist. Thea’s decision, to delay getting screened up to that point in her life due to the costs associated with the test, is an unfortunately common one. In a world of rapidly rising healthcare costs, daunting deductibles, and surprise expenses, many women are forced to put their own health on the back burner due to financial concerns. One of the most important priorities of Susan G. Komen Coastal Georgia is to provide access the healthcare to those who need it most. 75% of all money raised by this local affiliate stays in the local community to help those, like Thea, who need financial assistance with breast health education, screening, or diagnostics. Komen Coastal Georgia offers those in the local community the opportunity to learn more about these resources at their website, http://www.komencoastalgeorgia.org/grants/. Because of early detection and the courage to persevere, Thea’s story is not complete. As she continues to thrive and pursue her dreams, she can do so with the confidence that she has already added perhaps the most significant line to the resume of her life. Survivor.